"With the unparallelled American and Cooling 2014 Trane Heat Pump sales and installation pricing, Mesa AZ residents can get the most bang out of the least in tax refunds," Regional sales manager, Mesa. Tax season just broke the calendar. With big refunds on Mesa AZ doorsteps and American Cooling and Heating promoting the biggest Trane heat pump sales and installation promotion of 2014, now is the time to make the year count. The ACH cost slashing includes competitive pricing on all Company installed Trane HP products and Trane HP installation programs. So open the door, deposit the check, and invest in the comfort of an energy-efficient cost-saving Trane heat pump system. Phoenix AccuWeather predicts regional March 2014 temperatures to tap the mid-80s. Before the end of April, daily East Valley lifestyle will include 90-degree heat bursts and boiling winds. By the end of May, daily Mesa Arizona living conditions will include 100-degree daytime heat waves and a 73-degree nighttime cooking schedule. Taking advantage of the American Cooling and Heating blowout sale pricing on Trane Heat Pump sales and installation seems a reasonable early-warning response. According to the IRS, the average 2012 end-of-year family U.S. tax refund topped $2,800. For some reason, direct depositors received on the average $100 more than non-direct depositors. Both figures are down from 2011. But how do Americans spend tax rebates? 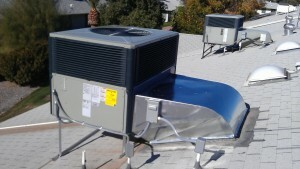 And what are the benefits of redirecting tax rebates toward home heating and cooling requirements? 30% - Close or reduce existing debts, including making down large payments to reduce acquired debt on large-ticket items. AND dwindling saving due to unexpected future equipment failures. 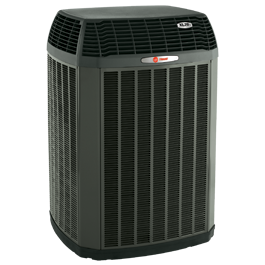 The ACH 2014 Arizona binge sale on Trane heat pump installation and products packages provides competitive pricing, 24/7 air conditioning services, and the best Trane product support in the business. With a tax refund on the steps and the Urge-toBuy ringing the doorbell, now is the time to schedule a free estimate on the cost of installing a new Trane heat pump. For more details on how to put a tax refund to work by saving on the cost of Trane heat pump products, click here. Also servicing, installing and selling all other brands of heating and cooling equipment, including Amana, Goodman, Carrier and Rheem.